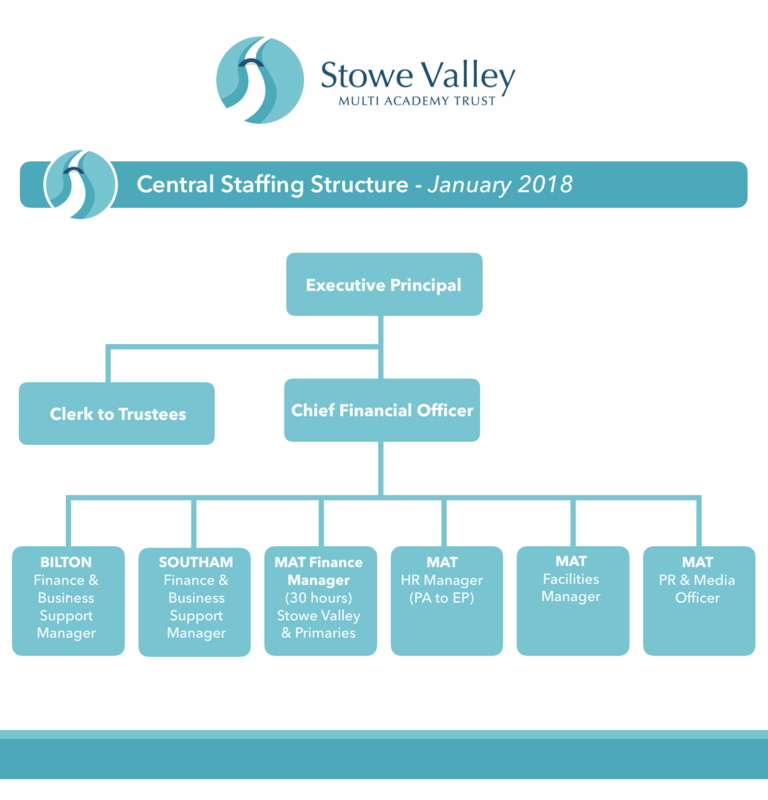 The Stowe Valley MAT was set up in April 2017 as a collaborative partnership between community primary and secondary schools in and around the Southam area, following a year of preparatory work with the schools and the Department of Education. Central to the ethos of the Trust is a belief that all children should have the very best of chances to fulfill their potential through stimulating and memorable educational experiences. We believe the core values of the trust, as reflected in the Vision Statement below, will enable the children in our schools to be confident, resilient and to believe that ‘by being the best that they can be’ anything is possible. Our MAT will create a seamless educational experience for our pupils across all key stages to develop responsible, capable and confident young people who are active citizens in the 21st Century. We will achieve outstanding progression using our success to drive us to reach even higher standards in everything we do. We will maximise pupil achievement in all schools through a rich and motivating curriculum and encourage all to strive by living our motto 'be the best you can be'. The MAT will be recognised by our staff, parents and the local community as providers of a safe, creative and ethical environment reinforced by a vibrant Community Dimension. Overall, we will ensure that the MAT proactively adds value to each partner school so that the whole is always greater than the sum of the individual parts. In order for the Trust to realise it’s vision, we ensure that the maximum amount of funding remains with local school leaders so that they have the maximum resources to spend in their schools. We want to allow each school, whether primary or secondary, to keep it’s unique character and ethos. The Trust recognises that every school’s identity is important to the local community and we aim to support schools, school leaders and Governors, to work with the Trust to create opportunities for success. The Trust will at all times aim to keep the costs of the central team to a minimum, whilst recognising the importance of an effective team in removing obstacles from schools so that they can create life changing opportunities for all children. The Trust aims to provide outstanding CPD opportunities for all it’s staff. It recognises that within every educational institution, whether a Nursery or Sixth Form Centre there exists educational /professional expertise. It aims to enhance this practice by sharing it across all it’s schools and by giving it the time and resources to develop. The Trustees and Members are determined to ensure that Stowe Valley MAT is for the schools and local communities they serve. We are relentless in our desire to create opportunities for every setting to facilitate every student/staff member/governor being as successful as possible.